Just spent a week in Dallas with 52 RevGals studying the Enneagram with Suzanne Stabile of Life in the Trinity Ministry! It's always life-giving to study with Suzanne, and it's always beautiful to be with the RevGals, and this was our second opportunity to combine the two. Beautiful! Afterward I got to spend some good time with friend Julia S., and had an hour and a half with first sister Barbara in the Houston Heights. Fantastic way to end a sabbatical week. Grateful for the opportunity. Ken stepped up to make it happen. Barbara Bruneau held me. Love and concern and space to be myself were plentiful. Suzanne's NEW BOOK launches on April 10!! it's available for pre-order now! If you haven't listened to her new podcast, check it out: "The Enneagram Journey." I hear it on CastBox but I know there are tons of ways to get it, including iTunes. It's an anniversary kind of time. Yesterday was the 18th anniversary of my marriage to Ken Pritchett. I am still rather amazed that two such different people do so well together. We have worked for a long time on making things work as we have changed over the years. It was also the 1st anniversary of my retirement from the State of Texas. It's been a very stretching year, as I have learned what the work for STRIPES Parking Lot Service entails. I learn new things all. the. time. Working with my spouse is another learning curve, as is being away from the university setting which I had loved since 1983. Looking back on the past year, I've been spending a lot of time thinking of my parents in San Angelo and a good bit of time going there, being there, coming back. It's 270 miles each way. Their health has deteriorated in the past year, which is reasonable, given that they are 85 and 81. My retirement's biggest gift has really been in this area of my life. I am able to go urgently or regularly. I am able to spend time with them for dire matters and quotidian ones. And, I continue to work for STRIPES while I do it. I carry the company cell phone, equipped with a call recorder, and my laptop. Calls that come in while I'm on the road or busy are easily handled once I'm settled for the night. The daily work of STRIPES is very busy, but loose. I can run errands as needed. Yoga and personal appointments have priority and I work around them. I haven't kept a calendar since about last October. I started one in retirement, but I just didn't need it and quit. Well, the day is coming! On June 12 we will begin our time together. And somehow, as that time drew near, I started to feel unmoored and a little panicked. So I went to Time and Date and printed out some nifty free calendar pages and filled them in. From June through December of this year. Of course - none of us know what will happen in the 7 months ahead! But I needed desperately to feel a modicum of control over some area of life. Because there are so many areas that feel wildly out of control - all of the above, and the larger world, too. I'm glad to look at the calendar and see some "just for me" things scheduled this month. Camping with Spooky Rach and Co., the Episcopal Women's Caucus meeting, and learning to quilt (with a group of friends to keep me accountable) will help. I continue to visit my Hospice patients, and I see my Enneagram-wise spiritual director monthly. I'm trying to do some writing every day, prelude to an evening Examen. I think that, along with the calendar, will help me stay in the road. Keep me attentive to productive doing. I am usually operating on a pretty even keel. As a 9 on the Enneagram, that's actually really central to my sense of well-being: being unaffected by life. That's how I am comfortable. SO: I am working on taking risks (not life-threatening ones! ), allowing myself to get really excited, really hopeful, and (gasp!) really angry. It's not always easy. Anger, in particular, is very frightening for me. I didn't learn to feel or use it in healthy ways, growing up. Angry meant "not nice" and I was a nice girl. In my 20's, a therapist suggested Harriet Lerner's brilliant book, The Dance of Anger. "But I'm not angry," I said. He said, "yeah, and that's why you need to read this." Not shockingly, I read that whole book (I am eminently compliant as a patient) and recognized NOTHING in it of myself. I guess I had to get some years on me. So, now, at 49, with the years and a bit of Enneagram work, I am reading the book again. And it's all about me. The nutty: yesterday was stressful. I felt overloaded and a little panicked, and unsure of myself. I felt worried. The news is disaster. The murder in Houston of Rev. Israel Ahimbisibwe, his wife and young son. So many things. I got home at about 8:30, and my husband was watching the news about the death of Muath Al-Kasaesbeh, the Jordanian Air Force pilot who was burned alive by ISIS. The station that was on had an anchor who'd watched the whole video narrating it; he was clearly deeply, deeply shocked. Then the station showed one still from the murder. I didn't see it, because by the time that came on, I had my fingers in my ears and my eyes closed. I got up and left the room. I don't feel that I should have looked at that, or that I shirked anything by doing so. I think we need to refuse to look at it, in fact. Know about it, yes. Look at it, no. That's what THEY want us to do. But the depravity and misery and inhumanity of the world sometimes rushes in so fast and so fully that I am swept away, with anger and fear and rage and grief, and I try to escape. I tried to dissolve myself by reading Facebook. By reading a silly crime novel. By riding my exercise bike. Finally, by eating a pickle sandwich with mustard (long time childhood favorite go-to food). I am trying not to let food be my comfort, but sometimes there it is. I read something recently that said, when we are despairing of the bad in the world, we are forgetting about God. So I sat still and tried to find God. I thought of God coming to Anne Lamott's houseboat and quietly sitting in the corner of the room, after her abortion. Surely, if God was there for Anne, God was there for me. I went to bed. Today I got up. There are trees on the way to work, and I see them because I am walking to work these days. I walk by and touch the trees as I go. It helps to ground me. 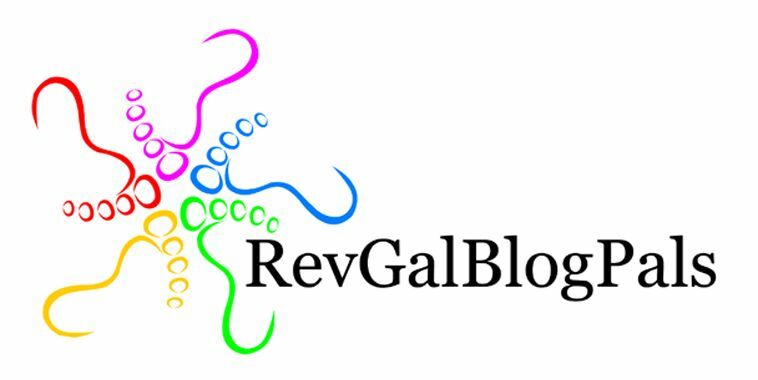 Jan says at RevGals: I attended an interesting conference at Oblate School of Theology this week with speakers talking about growth psychologically and spiritually with a Jungian perspective. Stimulation for three days and nights have left me overwhelmed and fatigued. Then this morning I took a friend to the airport at 5:30 am, followed by me driving the 2 1/2 hours back home. Since then, I had a busy day, ending with a tense piano lesson, I have grown very sleepy. So I am unsure about my responses in the blurry state and wonder how you feel after these busy, enriching times fit in between working periods. How are the returns from them for you? 1. Do you need readjustment time? Do you need some sleep? What do you need before returning to work and life? I attended a five-day Enneagram Boot Camp at Life in the Trinity Ministry in the first week of June. I had actually considered doing an earlier one in March and eschewed it, knowing how hard re-entry would be. At least in June, I figured, I would have less to return to at work. That turned out to be true, and yet, return was still very difficult. I was thinking very much in Enneagram language and having a hard time "snapping to" with other things. People were gracious and patient with me. 2. What do you want to do with the new knowledge gained? Do you share with friends and colleagues: Do you write about it: Journal? Even though I've studied the Enneagram for a long time now, this experience was especially deep and important. I have been writing a lot, talking with trusted friends, including a Mastermind group that helps me with accountability ("this is what I plan to do with what I learned" and then I report back on that). 3. How do you organize the new material? Or do you? I am using large flip charts to draw pictures. I am also retyping my notes, because it helps me to then remember better what I learned. 4. Do you seek more information, like newly mentioned books? Oh my gosh! I have the hardest time not buying EVERY book mentioned!! I do put all of them in my Amazon wish list so I can remember them. And I do buy some. i also continue to listen to the teacher, Suzanne Stabile, on CD's in my car. 5. What are your desires to do following all this? Personally? Corporately or not at all? Personally, some big changes to my spiritual practice. Corporately...I see more clearly my daily vocation in relation to people I meet. I am working on remembering those things, keeping them in my mind's eye. Surrender peace for the sake of yourself. Although it is Pentecost Sunday, this post is not about Pentecost worship, because I'm not attending. I hate to miss it, but after an evening and 2 full days of Enneagram Boot Camp, I need non-people time, prepping-for-the-week-time, brain-sorting time, home-with-Ken-time. I will return to The Micah Center this afternoon for several more hours of Boot Camp and a full day on Monday, too. Last summer I attended a Benedictine Silent Retreat in Dallas for 4 days. This is my "retreat" for this year. It's been wonderful and different and a glorious opportunity to dive deep into an amazing spiritual tool that has meant so much to me. I first learned about the Enneagram from Suzanne Stabile after I heard hear speak on "Jonah and the 4 Mantras" at a DOK event in Dallas several years ago. At that event, I bought her "Know your Number" CD's and listened to them, and I was convicted. I've been listening to CD's and MP3's that I've ordered online from the Life in the Trinity Ministry online store since then, and of course Suzanne was the speaker for the RevGals cruise in January. This is my 4th workshop with her this year. In Boot Camp, along with a tremendous amount of learning and hard work, we are doing an exercise, taking a poem titled "Where I'm From" and rewriting it using our own life references. Then we take turns reading them aloud. These are the purest Holy Spirit moments for me, so far...because, although I didn't realize it when I wrote mine, these are an opportunity to go to amazingly raw and private places. When I got up to read mine, and afterward, I shook. I never have a problem standing in front of people...but telling those truths, obscure as some of them probably were to everyone but me...was a breath of air, an opportunity to feel free and safe with a group committed to learning their truths and working to improve themselves through it. There's some Spirit for ya. Of course, the great temptation in these workshops is to try to write everything down...but learning from Suzanne is, as she says, like drinking from a fire hose. She's a fast talker. Also, I have finally stopped trying to take notes on every number, and am just concentrating on my own. The whole point is to work on myself...and working on other people, based on their numbers, is like trying to teach a pig to sing. It has rained this morning. We sat outside in the hot tub with the rain falling on our faces and watched the squirrels play overhead. I planted some impatiens. I am making quinoa and brown rice.